Of these options the most interesting is Change Notification Settings: “You will be able to set the frequency and your preferred communication method to receive your charge notifications”. 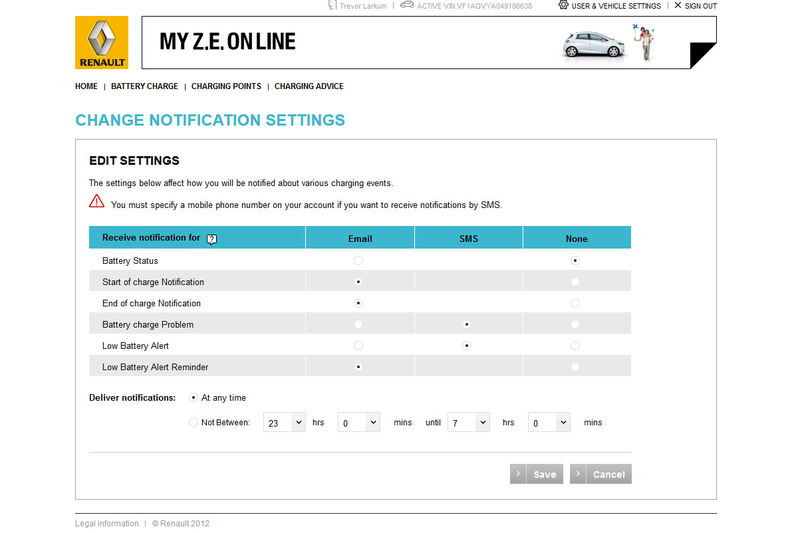 Here you can select how you are notified of key events such as charging state, charging problems, and low battery state. I have set my options as above – this means that I get a text message when there is an urgent issue such as a battery charge problem or a low battery alert. I also get an email when a charge starts and when it ends plus reminders when the battery is low. Together these notifications provide a useful set of services to keep you informed about your vehicle’s charge status, and particularly any problems as they arise.